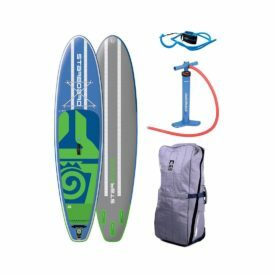 The versatile, all-around choice for women of all levels and sizes, the 2020 Naish Alana 10’6″ x 32″ inflatable is perfect for fun with the family, touring, or surfing small waves. 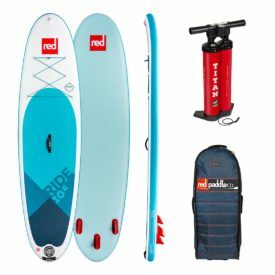 Stable at 32″ wide, and sturdy, this board offers an incredible stiffness-to-weight ratio, thanks to our new, high pressure X-weave material. Who’s it for? 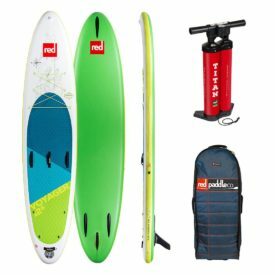 Any woman or lighter paddler looking for a board that will do-it-all, from cruising on a lake with the kids to touring a river to riding small waves. What does it do? 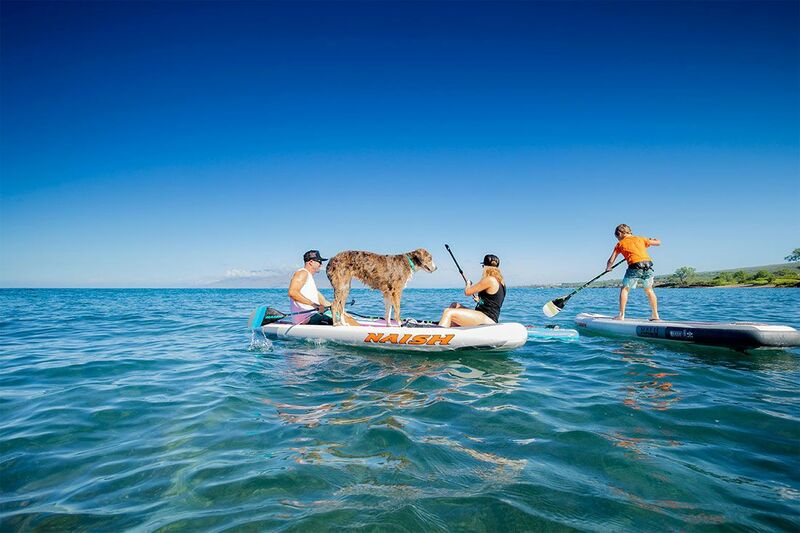 Cruising, catching small waves, touring, gliding, taking kids on board. Why is it unique? 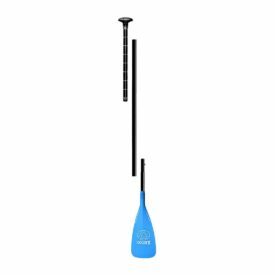 Specifically thinner than men’s board for lighter weight and easier maneuverability it is the perfect combination of lightweight, stiffness, durability in a fun and very easy to use shape that will make you enjoy paddleboarding from your first stroke. 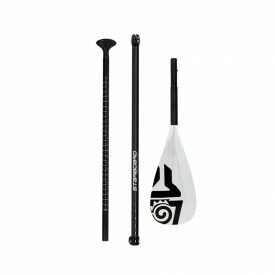 Double stringers add key reinforcement in the stance area, while its light weight and reduced thickness further offer great control for easy manoeuvring whether cruising, or walking up the nose on small waves. The nose has plenty of room for the kids to climb aboard, or take extra cargo with you using the cargo strap. It’s now easy and effortless to walk to and from the water thanks to the Alana’s added shoulder carry handle and super lightweight frame. This year, the Naish single layer inflatable paddle boards use a new “X-Weave” drop stitch material. The drop stitch is positioned in an X-pattern, which evenly distributes tension throughout the board and pressure on the skin of the board. 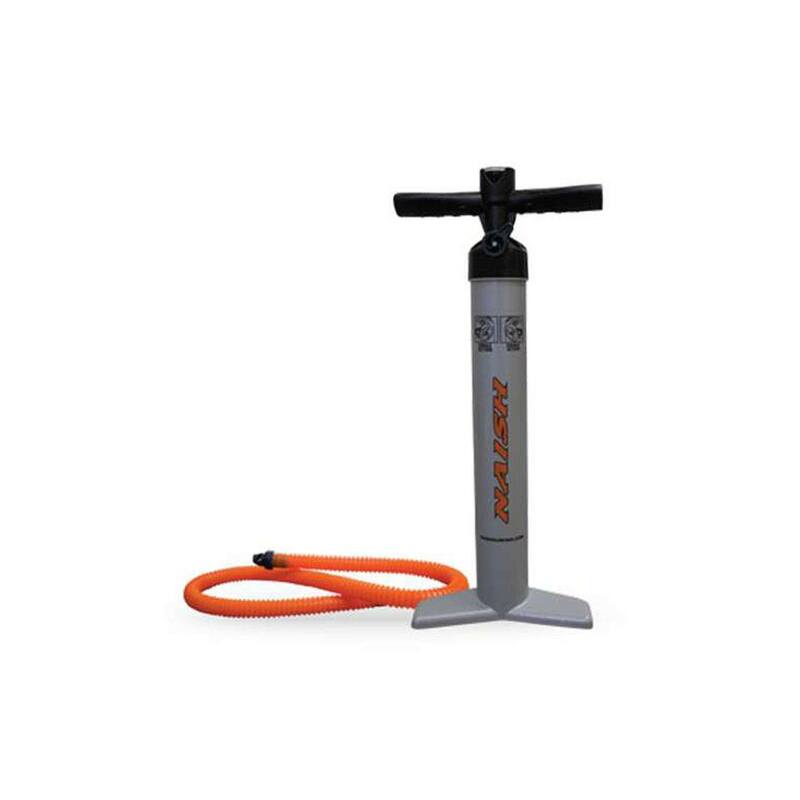 This provides the best stiffness-to-weight ratio possible. 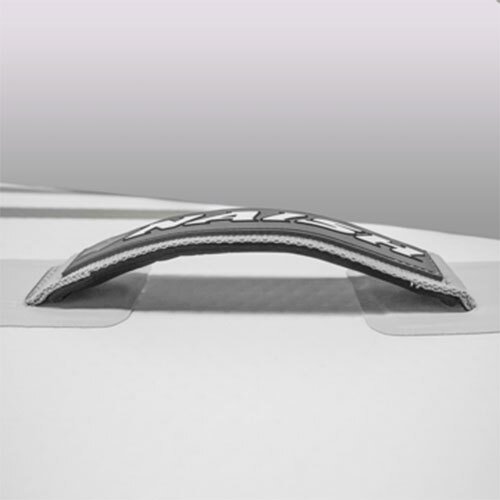 The single layer boards are now built with double stringers to increase overall performance. 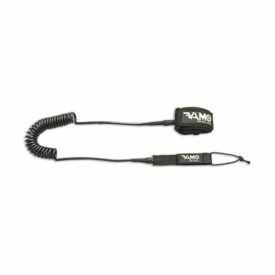 These not only enhance board stiffness, control twist, they also add structural reinforcement under the stance area to reduce buckling (under weight/pressure) and any water resistance resulting from bumps formed along the board bottom. 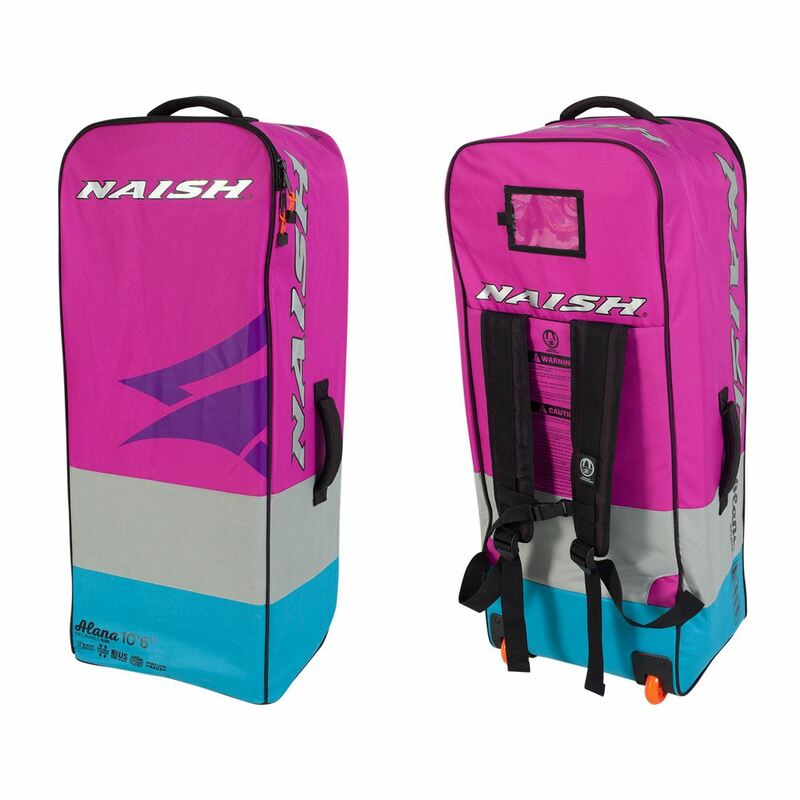 Naish inflatables are now built with a wide, double PVC layer on the rail. 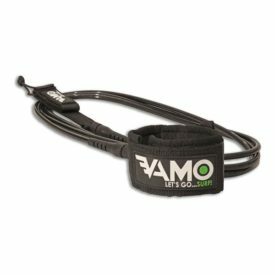 This provides great durability, increased longevity and enhanced stiffness. 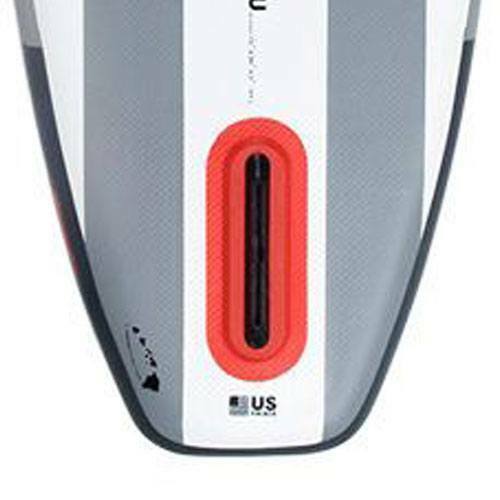 The 2020 inflatable Naish Alana is now equipped with a US fin box and enables the use of a stiffer fin. This also grants you the option to customize your fin. 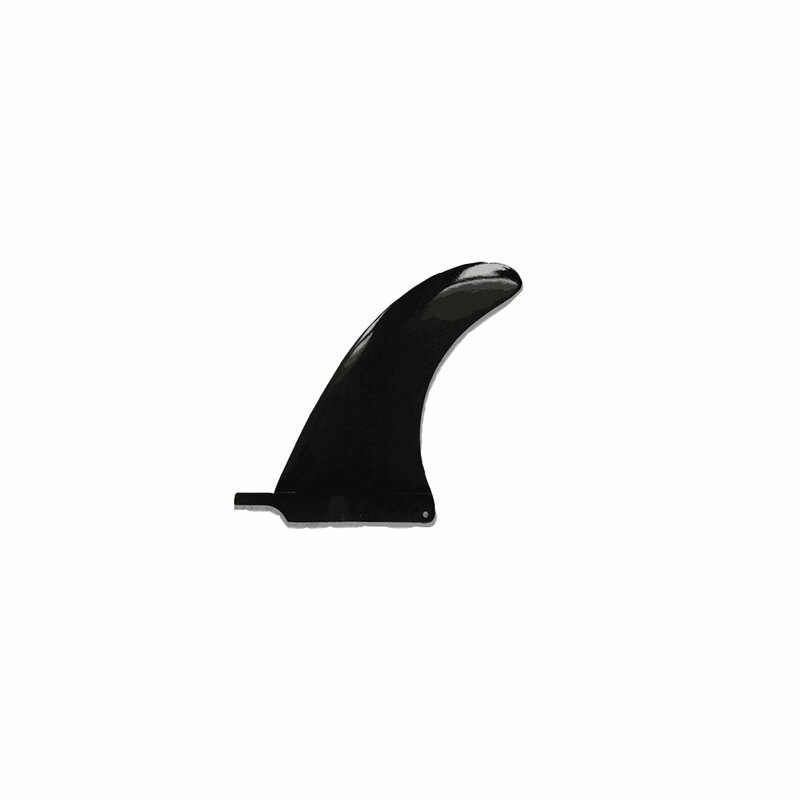 All fins are equipped with a tool-less butterfly screw. The Naish boards are constructed in an all new manufacturing facility with superior glues, materials and quality control. 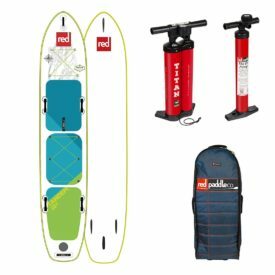 This allows their boards to be inflated to a higher PSI (21), for unbelievable stiffness that performs more like a composite board. 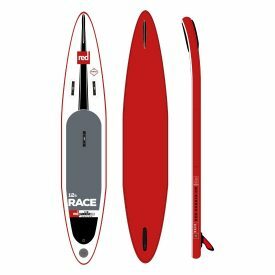 Adhering to the highest quality control standards in the industry, every single inflatable board is built to last. Assuming that the pressure applied is high enough—when a board bends, it acts similarly to an I-Beam, in which the top skin compresses, while the bottom skin does the opposite (extends). 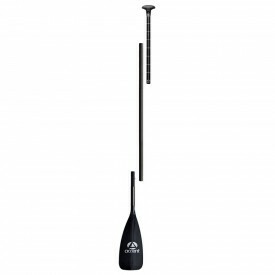 A stiffer board moves more efficiently, when you paddle, as more of the energy you spend propels you forward rather than bending the board. This is why we use fusion material and carbon stringers on our high-end boards: to achieve the stiffest top and bottom skin possible in compression and extension. 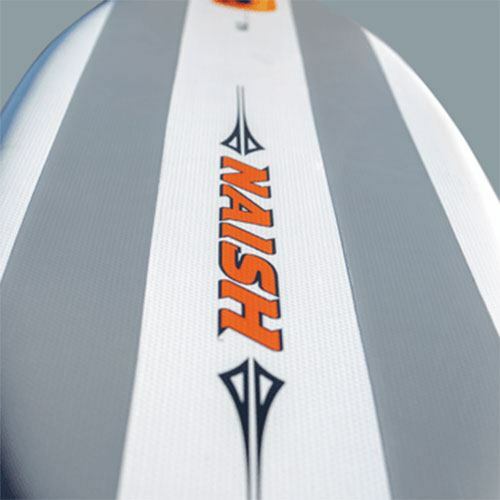 This year, all Naish boards are rated with a stiffness value; the higher the number, the stiffer the board. 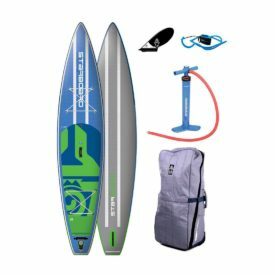 For reference, the new Maliko Inflatable 14’0″ x 25″ (constructed with Fusion drop stitch and double carbon stringers) has a stiffness rating of 9.5. 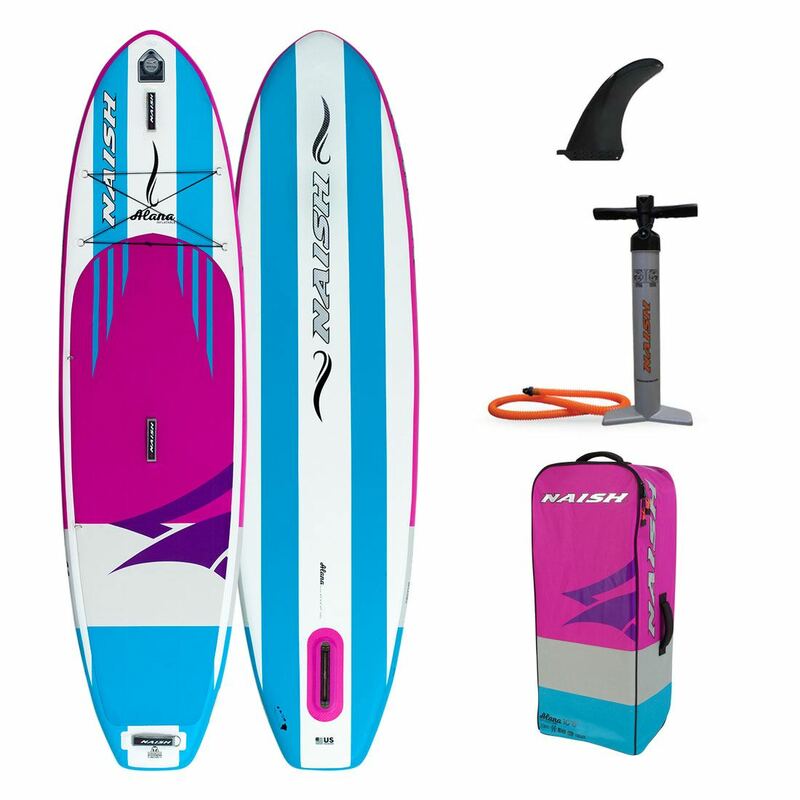 Compared to last year’s Maliko 14’0″ x 26″ inflatable, which had a 4.73 rating. The new model is much stiffer.